Did you know? All income from sales supports the educational activities of the Smithsonian Institution. 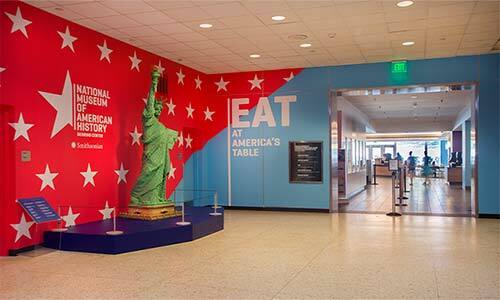 Eat at America’s Table Cafe — 11 a.m.-3 p.m.
American Table - The American Table will highlight the rich culinary traditions from our nation’s kitchens. Each menu change we will feature the cooking of individual states, geographic regions, the season, and historic menus of celebration. This station offers the best representation of American culinary traditions. Artisan Market - The efforts of culinary artisans across America will be featured along with craft made specialties of our kitchen. Artisan cheeses, meats, and regional condiments will offer a small plate dining experience. Classic American sandwiches, and the story behind them, are also featured here. BBQ - The tradition of outdoor cooking and festive celebration across America has been part of our national culture since colonial times. From 19th century shad planking to political barbeques to weekend tailgates, Americans have enjoyed their food outside. This station features burgers, BBQ, brats and more. Southwest Kitchen - The southwestern region of the U.S. has a wonderful blend of interesting flavors and cultures. Centuries of Native American and Mexican culinary traditions will inspire the foods cooked in and served from our hearth oven. Harvest Basket - Our salad bar features a selection of seasonally inspired and classic composed salads that are all thoughtfully created. Desserts - A wide variety of house-baked cakes, cookies, and treats. LeRoy Neiman Jazz Cafe — 10 a.m.-5 p.m. 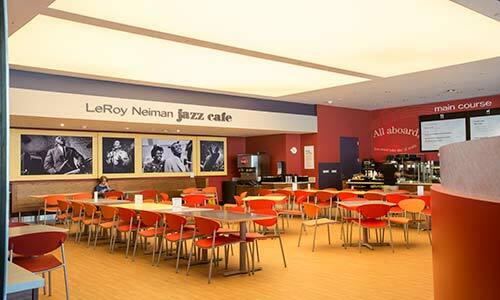 The LeRoy Neiman Jazz Cafe is always open for a meal or a snack. We have pastries and specialty coffees to start your day, and salads, sandwiches, beverages and a mac & cheese bar to keep you going all day long. 2 East Café — 11 a.m.-3 p.m. The 2 East Café is the perfect place to stop for lunch or a snack. We offer freshly made sandwiches, salads, cold drinks, and snacks. We offer three discounted meal options in our main cafe for groups of ten or more. Visit our group sales page for more information. 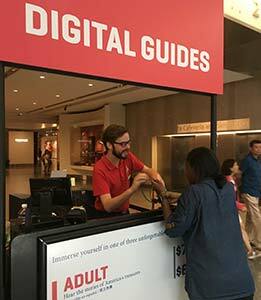 Please note that group lunches must be paid in advance of the visit, and if you pick up vouchers at the Smithsonian, you will have to do so at the IMAX box office at the National Museum of Natural History. This vast 6,000-square-foot store is centrally located on the first floor. 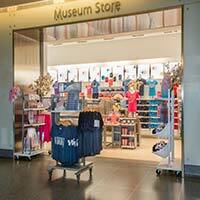 Visitors may browse through merchandise inspired by the museum’s collection, apparel, home accessories, ornaments, personalized leather bracelets, jewelry, books and the most incredible selection of socks! 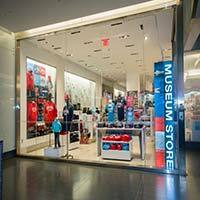 Located at the Mall entrance to the Museum, the Mall Store is the best place for museum souvenirs, a trendy accessory, fun jewelry and a snack to keep you fueled for your next museum visit. Be there or be square. 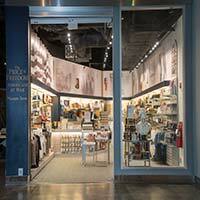 The third floor store is adjacent to the exhibition The Price of Freedom: Americans at War. It carries a large selection of military-themed merchandise, including personalized dog tags that are made on the spot. There is also a large selection of products related to the exhibition The American Presidency, also located on the third floor. Gifts, informative books and maps, White House souvenirs, and military-style clothing are featured here. Put on a head set and immerse yourself into the highlights of the museum’s exhibits. We worked with our curators and other experts to create a tour for everyone in your family, from the youngest preschooler to your tween and all adults. The adult tour is available in Mandarin and Spanish. There is also a tour that focuses on our American Democracy and Many Voices, One Nation exhibits. The tours make it easy to navigate the museum and assure that you’ll see the best of what we have to offer. The interactive activities, videos and extra information make them fun, too. Climb aboard an interactive "time-traveling" simulator and accomplish various mission objectives in historic aircraft. Choose from a selection of fighter planes or popular racing planes from aviation’s golden age. Take to the skies as you climb, dive, and roll 360-degrees! Create a terrific personalized souvenir of your visit to the Smithsonian. Collect all 8 pennies in our new penny album. Machines are located in the main store. Shop online for merchandise including replica Jackie Kennedy jewelry, Thomas Jefferson’s bible, and many more items related to American presidents, First Ladies, and American history and culture.